Meet Mia Holl, the ideal goodie-goodie, hardworking, quiet, law-abiding citizen; the idea Daily Mail reader for the mid-21st century, living in a world where no-one ever need be ill or sad or troubled. All you have to do is keep to the rules, and why wouldn’t you? Do you want to make yourself ill? Do you want to be sad? Don't people who smoke bring cancer on themselves? Why should hospitals have to treat idiots who rot their livers with alcohol? If you crash your life into a bad love affair why shouldn't the Method police debit your bank account for the inconvenience of clearing up the mess? In our own society we’re already well on this highway to hell, skid-marked with laws and rules to keep us safe from the nastiness out there, from the nastiness others might do to us, from ourselves. 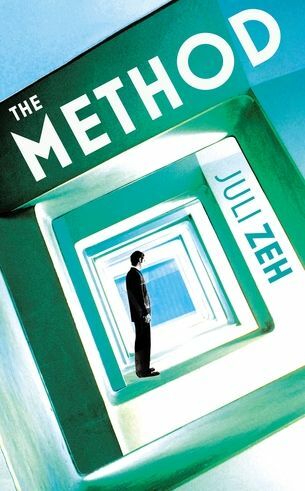 Cult German author Juli Zeh just pushes the idea a little. The Europe of her Method is not a dystopia in the usual sense, being too clean and fragrant and safe. In many ways it’s a utopia, just one in which most of us wouldn’t want to live. Warning: this is a literary novel. It doesn’t fill in the gaps or follow Hollywood rules, and is constructed like a Chinese puzzle, with boxes inside boxes and an author who warns the reader when she’s about to change tense. Also, the twist at the end is a little too pat. Read about more dystopias .